Every year we have a wonderful Thanksgiving weekend event. It’s a great way to spend time with friends and celebrate! It has become our tradition. 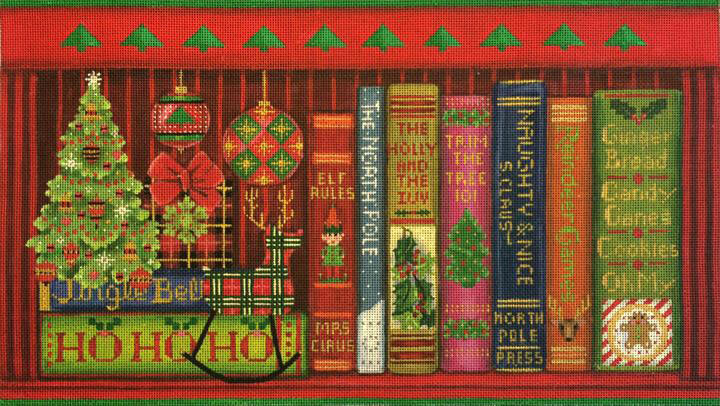 This year our project will be the fabulous Melissa Shirley Christmas Books canvas. Class cost is $395 plus canvas ($324) and threads, beads etc tbd. 11-5 Friday, Saturday and Sunday, November 23-25. I wish I was back at the Bee Hive! Love the canvas! Will have to look hard at finances! For those of us who can’t be there, will you be doing extra kits?